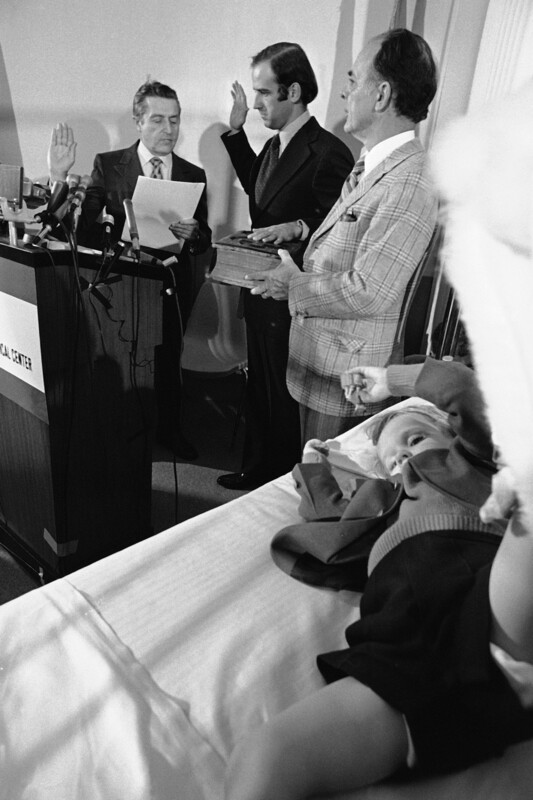 When Vice President Joe Biden was first sworn in to the U.S. Senate in 1973, he took his oath by the bedside of his son Beau, who'd been injured in a car accident in December 1972 that claimed the lives of Joe Biden's first wife and daughter. 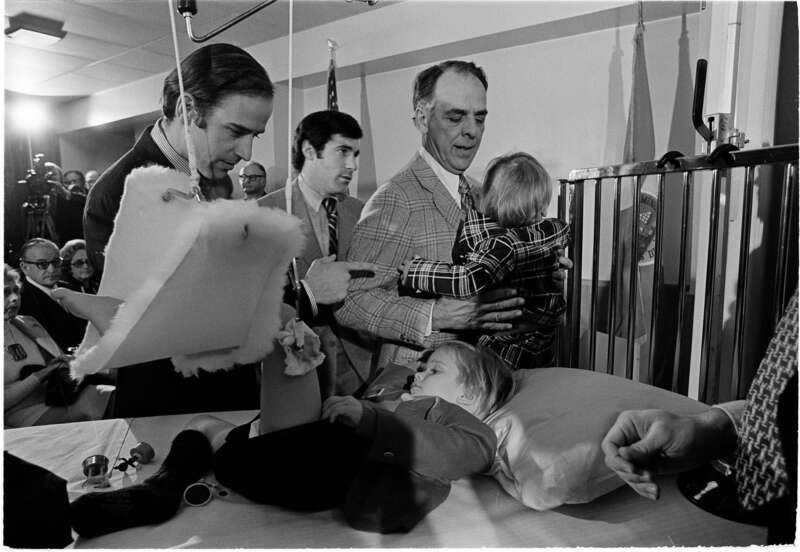 Images of Biden's swearing-in circulated on Twitter Saturday night after the vice president announced Beau had died from brain cancer. Beau Biden was 46.